SAM is a Brazilian transplant to Argentina. 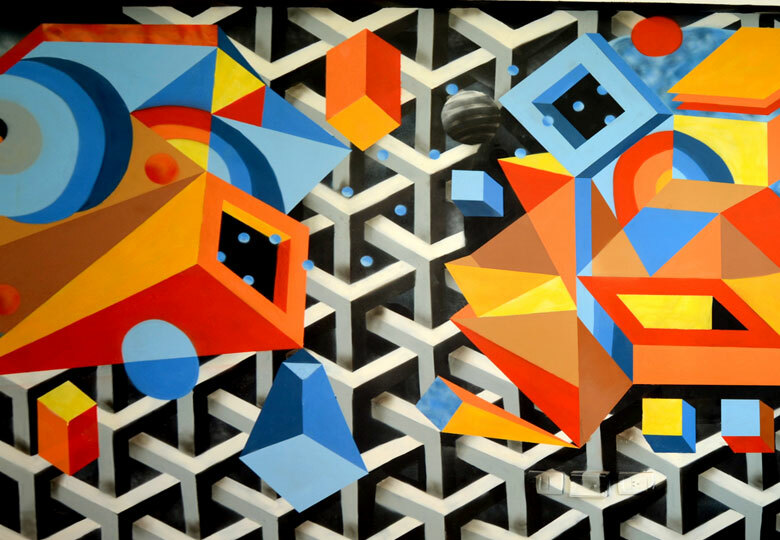 His early paintings were heavily influenced by hip-hop culture and graffiti, which were prevalent in Villa Ballester, the province of Buenos Aires where he grew up. 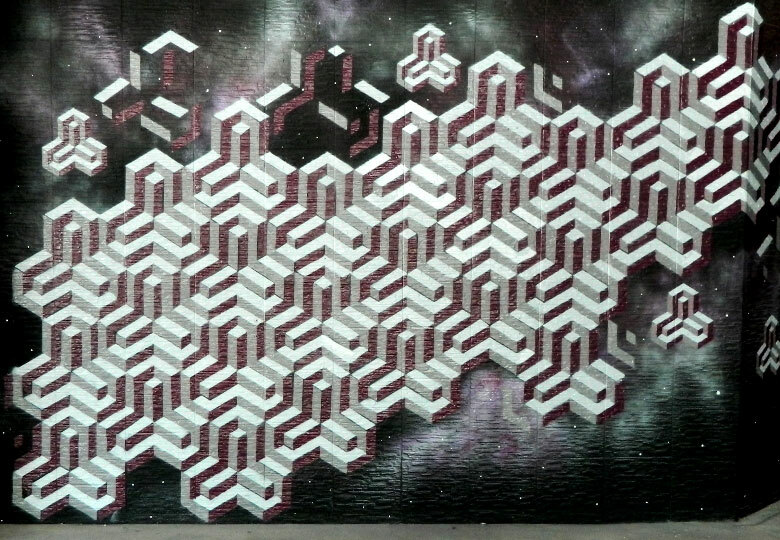 However, after having experimented with letter-based art, SAM ultimately developed a more abstract style of muralism. 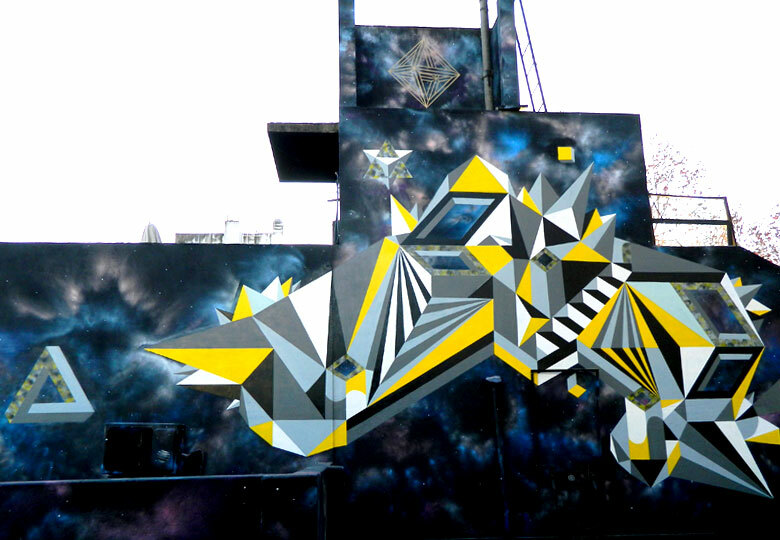 SAM favours the streets as canvas and has a penchant for enormous walls. His work oscillates between monochrome and vibrant colour palettes while his compositions shift between the organic and the geometric. His style reveals influences from cubism, surrealism and futurism.